The Mayor presents the proposed budget to the City Council at their first meeting in May. (This year it was the May 3 meeting). Council votes to tentatively adopt the proposed budget. This vote will occur at the May 17 meeting. All municipal final budgets must be adopted before June 22, or, in the case of a property tax increase, before August 17. The Council's vote on adopting the budget will happen at the June 21 Council Meeting this year. A public hearing must be held before adopting the budget. The date for the hearing will be set when the budget is tentatively adopted on May 17. According to Utah State Code, "All interested persons in attendance shall be given an opportunity to be heard, for or against, the estimates of revenue and expenditures or any item thereof in the tentative budget of any fund." 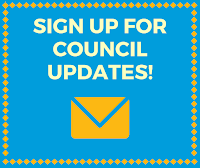 UPDATE - public hearings will be held at the June 7 and June 21 regular Council meetings.